In yesterday’s blog about afternoon concerts this weekend, The Ear mentioned the FREE concert by the Perlman Piano Trio this Saturday afternoon at 3:30 p.m. in Morphy Recital Hall. The all-masterpiece program is an appealing one: The late Piano Trio in E-flat Major, K. 542, by Wolfgang Amadeus Mozart; the Piano Quintet in E-flat Major, Op. 44, by Robert Schumann; and the Piano Trio No. 3 in C Minor, Op. 101, by Johannes Brahms. 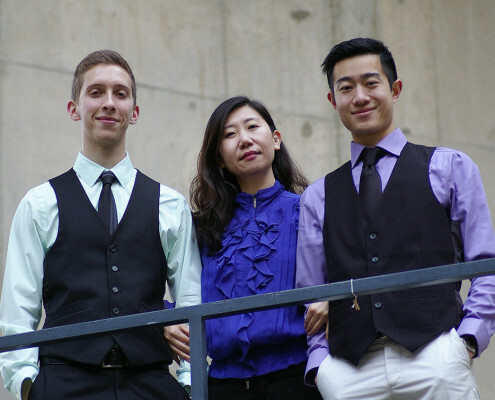 Members of the graduate student ensemble (below, from left, in a photo by Katherine Esposito) are: violinist Adam Dorn; pianist SeungWha Baek; and cellist Micah Cheng. Additional members for the Schumann Piano Quintet are violinist Keisuke Yamamoto and violist Luke Carmichael Valmadrid. But the concert by the Perlman Trio is also an occasion to recognize an important donor to the University of Wisconsin-Madison School of Music. Her name is Kato (Katherine) Perlman. The Ear knows her as a congenial, amiable and modest person. Perlman’s generosity has made possible this scholarship trio for distinguished graduate students. Its membership usually changes every school year. Perlman (below), a retired chemist, has also contributed to other events and programs at the UW-Madison and to other music events around town. Now, Perlman is not alone. There are many important donors and patrons and underwriters of musical events in Madison. 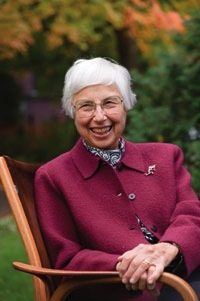 One of the most distinguished and largest recent gifts was the late Karen Bishop, whose gift of $500,000 made possible hiring a new director of University Opera outside the punitive budget cuts by Gov. Scott Walker and the Republican Legislature. 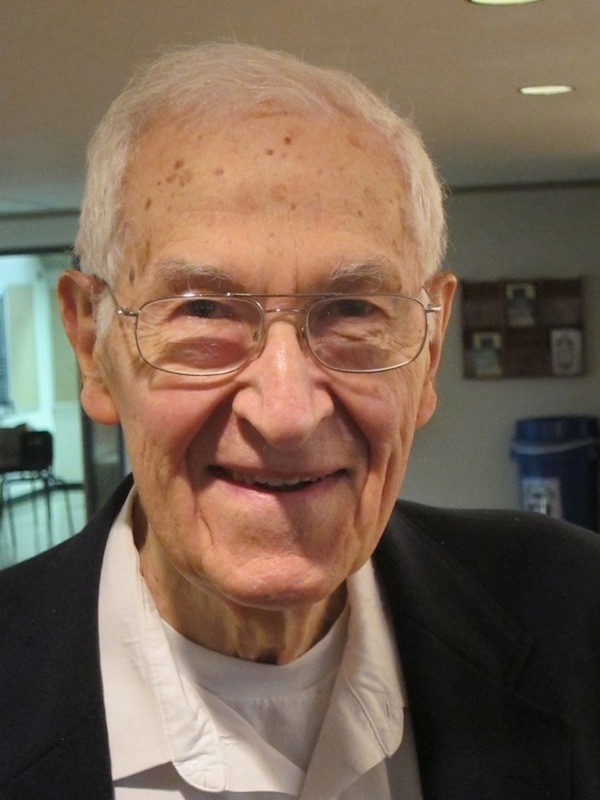 Another is Irving Shain(below), the retired chemistry professor and Chancellor of the UW-Madison, who decades ago started the ongoing Beethoven Sonata Competition and who also underwrites the wind and piano duet competition. Kato Perlman has an interesting, compelling and moving personal history, and the upcoming concert in Saturday is a good occasion to share it. These are challenging times for classical music. Those of us who appreciate it should be especially grateful to Perlman and other sponsors and donors for allowing it to exist for our pleasure and enlightenment. Thank you, Karen Bishop and family. And thank you to all donors and sponsors – individuals, groups, corporations and businesses — including those whose philanthropy supports the Madison Symphony Orchestra, the Wisconsin Chamber Orchestra, the Madison Opera, the Madison Early Music Festival, the Bach Dancing and Dynamite Society and so many of the wonderful music groups in the areas. You were never needed more. Thank you, Jake, for honoring and thanking the generous individuals who have made so many special programs possible for us and our students!